The title says it all. We are going to have a few nice, seasonable days as high pressure sets up to our southwest. After a rainy first part of the week, this nice stretch of weather will be a pleasant break. Of course, the weather will not stay nice forever. 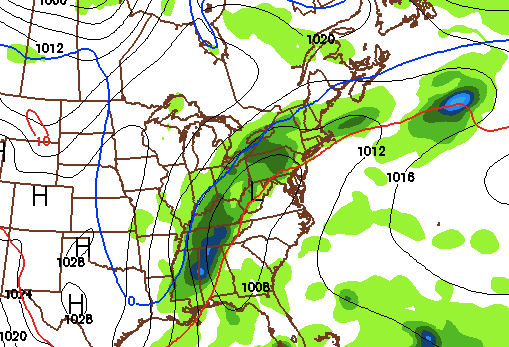 I am currently tracking a major cold front sweeping through the area at the end of next week. This front will bring in arctic air behind it and plunge temperatures into the 30s. There is a small chance that this cold front phases with the jet stream and turns into a Nor Easter. With this scenario, we would receive rain with some back-end snow as cold air is rapidly brought in behind the storm. At this point, this solution is unlikely. I am sure we will have our first frost next weekend, as well as highs in the 40s for a few days after the front pulls through. After this cold stretch of weather, temperatures should rise to more seasonable levels.